John Owen was an English nonconformist Church leader who served as the academic administrator at the University of Oxford. Owen was also a prolific writer. Owen's book The Death of Death in the Death of Christ aims to show that universal redemption is unscriptual. 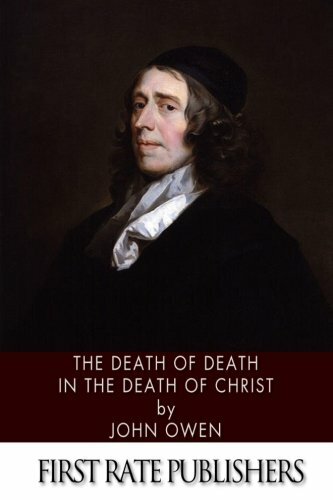 John Owen (1616 &#x2013; 24 August 1683) was an English Nonconformist church leader, theologian, and academic administrator at the University of Oxford. He was briefly a member of parliament for the University, sitting in the First Protectorate Parliament of 1654 to 1655 Early life Of Welsh descent, Owen was born at Stadhampton in Oxfordshire, and was educated at Queen&#x2019;s College, Oxford (B.A. 1632, M.A. 1635); at the time the college was noted, according to Thomas Fuller, for its metaphysicians. A Puritan by upbringing, in 1637 Owen was driven from Oxford by Laud&#x2019;s new statutes, and became chaplain and tutor in the family of Sir Robert Dormer and then in that of Lord Lovelace. At the outbreak of the English Civil War he sided with the parliament, and thus lost both his place and the prospects of succeeding to his Welsh Royalist uncle&#x2019;s fortune. For a while he lived in Charterhouse Yard, troubled by religious questions. His doubts were removed by a sermon preached by a stranger in the church of St Mary Aldermanbury where he had gone intending to hear Edmund Calamy the Elder. His first publication, The Display of Arminianism (synergism) (1642), was a spirited defence of Calvinism (monergism). It was dedicated to the committee of religion, and gained him the living of Fordham in Essex, from which a &#x201c;scandalous minister&#x201d; had been ejected. At Fordham he remained engrossed in the work of his parish and writing only The Duty of Pastors and People Distinguished until 1646, when, the old incumbent dying, the presentation lapsed to the patron, who gave it to someone else. In 1644, Owen married Mary Rooke (d. 1675). The couple had 11 children, ten of whom died in infancy. One daughter survived to adulthood, married, and shortly thereafter died of consumption.